Restoration of broken relationship and heart. 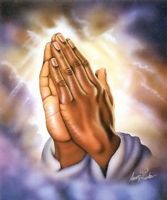 I'm praying for my ex boyfriend Lesley. That he will open his mind and heart and not shut me out. That in Gods time or his time that he will come back to me. I pray that he and I will be patient and walk with the lord. A couple weeks ago he left me for his ex and I just today broke down the truth to him about everything. I pray that I/we are not misunderstood. That we can forgive. And get back together. I wish my broken heart to be restored, for my hardened heart to also be restored, I wish Lesley would accept me as I accept him because right now I'm so down, and having problems with my health too. For Lesley to be who he used to be. And that the fact I did nothing wrong, and apologized, but he didn't apologize. He hurt me, and I've sent over dozens of prayer requests and praying for him. I'm desperate for gods help.